Our burial meadow offers a peaceful and natural final resting place for traditional burial. Wild flowers, trees and shrubs mark each plot. Merlin Wood is a dedicated woodland for ashes burials. The woodland is made up of oak trees planted in rows to form beautiful avenues. 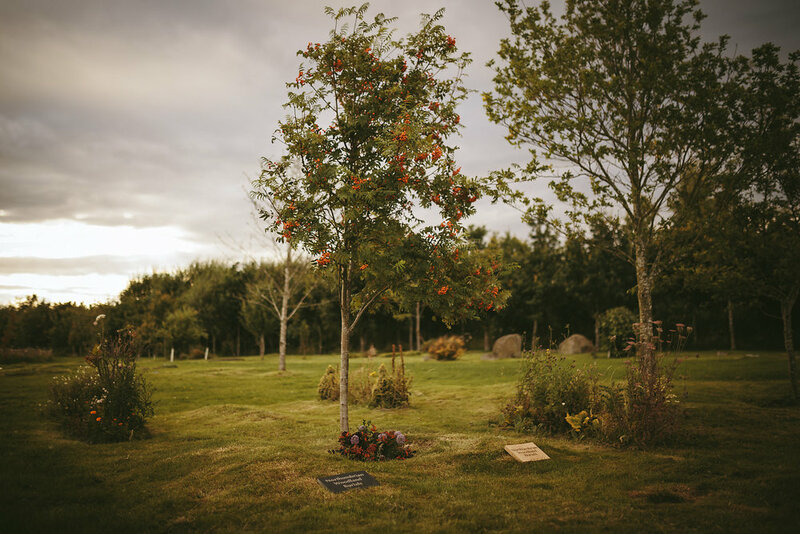 Griffon Wood is our exclusive pet burial woodland. We offer burial and ashes burial as well as personalised memorials. Visitors are welcome all year around, during daylight hours. No appointment is needed, however if you would like to be shown around please get in touch and we will happily meet with you on site. We are located just of the A1, 8 miles north of Morpeth and 11 miles south of Alnwick at Bockenfield. Northumbrian Woodland Burials is owned and ran by Husband and Wife team, Scott and Laura Clarehugh. We live and work on site, ensuring the meadows and woodlands are looked after and cared for all year round.